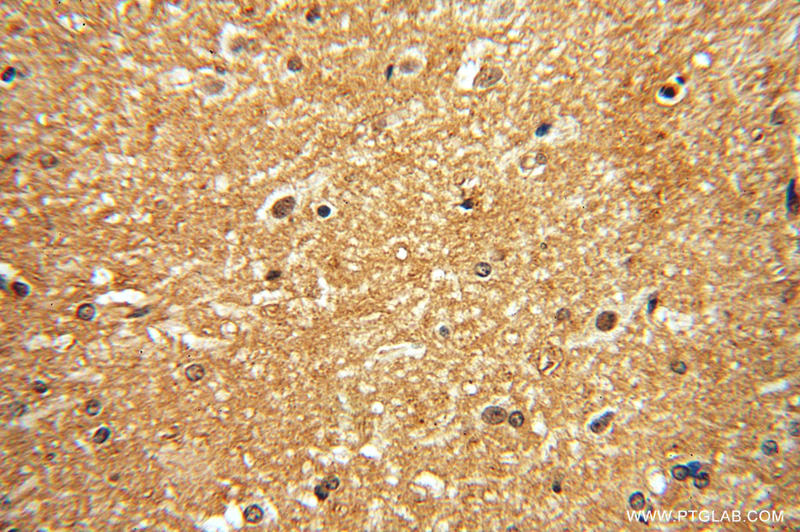 IP Result of anti-DISC1-long-specific (IP:15500-1-AP, 4ug; Detection:15500-1-AP 1:300) with mouse brain tissue lysate 2560ug. DISC1, also named as KIAA0457, is identified as the sole gene whose ORF is truncated and cosegregates with major mental illnesses in a Scottish family. DISC1 may be implicated in psychiatric conditions in other populations than the unique Scottish family. 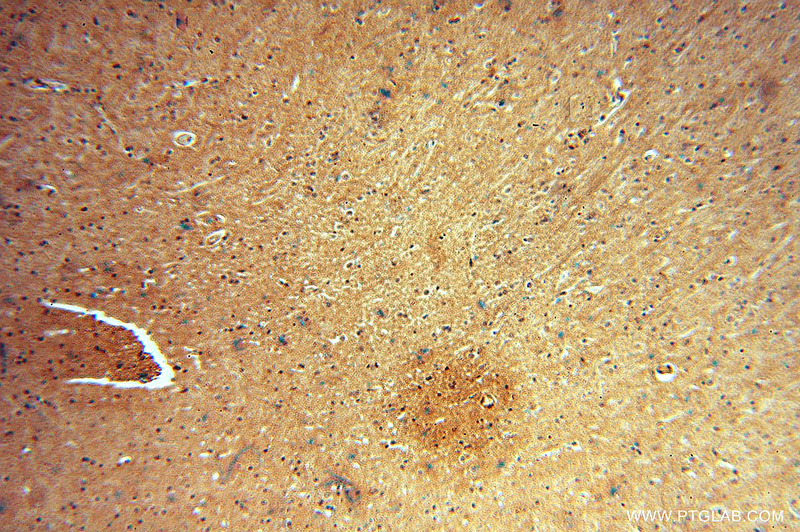 It is involved in the regulation of multiple aspects of embryonic and adult neurogenesis. DISC1 is required for neural progenitor proliferation in the ventrical/subventrical zone during embryonic brain development and in the adult dentate gyrus of the hippocampus. 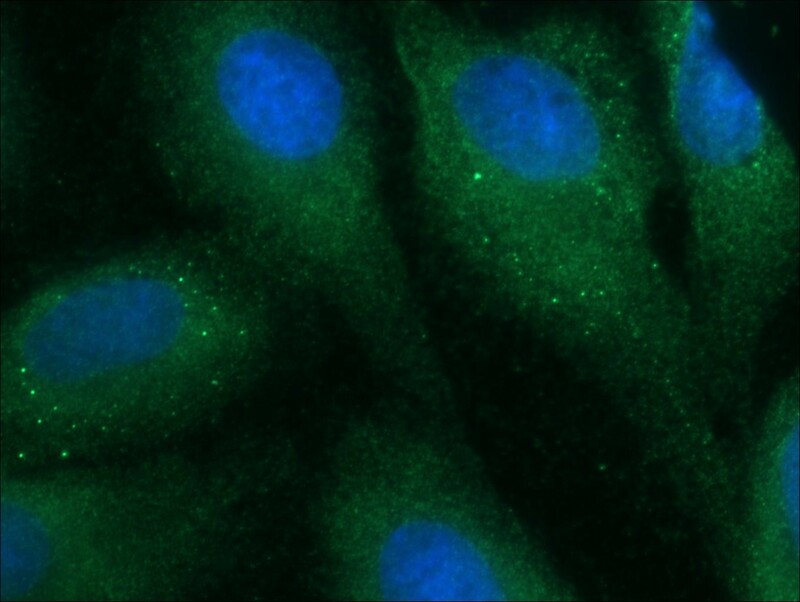 It plays a role, together with PCNT, in the microtubule network formation. In WB, DISC1 has some MW such as 34kd(PMID:18620078 );75-85kd and 95-100kd(PMID:15657124). DISC1 isoforms have distinct developmental patterns of expression. 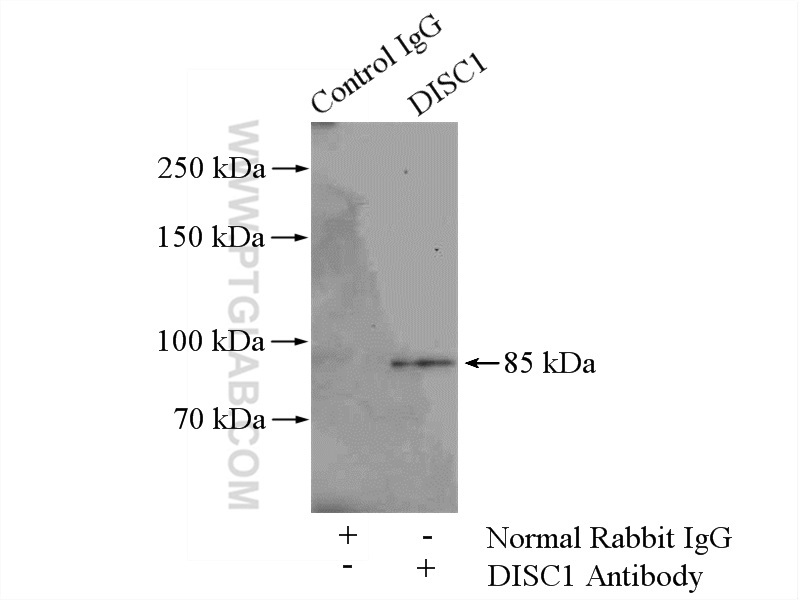 This antibody is against C-terminal of DISC1, binding full length protein specifically.